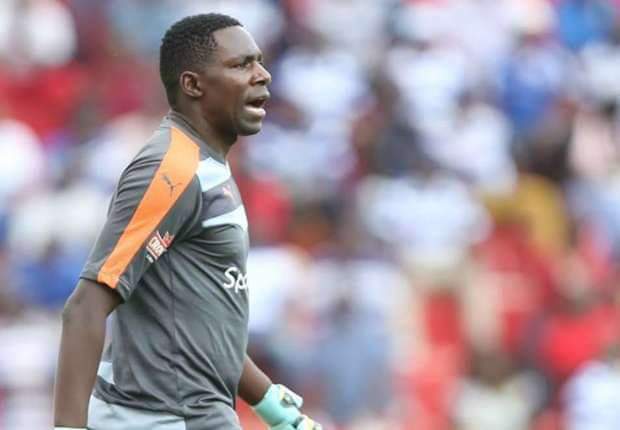 Gor Mahia’s experienced goalkeeper Boniface Oluoch has agreed to a new three year deal that will keep him at the club till 2021. Oluoch was among players including Burundi captain Karim Nizigiyimana and Ugandan Innocent Wafula whose contracts were soon running out. “His contract was running down in January but he (Oluoch) has agreed to extend the same until the start of 2021. We want to wish him all the best at the club,” Lordvick Aduda, Gor’s CEO confirmed to Goal. Aduda further disclosed that the club is currently engaging Wafula and Karim in a bid to keep them within the “green family. The record 17th time Kenyan Premier League champions will also strengthen the squad ahead of a busy 2018-19 which starts early December by signing new players. In that regard, the club has identified Ugandan left back Shafick Batambuze for signing. They will also welcome back midfielder Kenneth Muguna who is returning after a botched stint in Albania with KF Tirana. Apart from defending their KPL crown, K’Ogalo will also be flying the Kenyan flag in the CAF Champions League next season.